This chapter provides an introduction to modern physics and covers basic elements of atomic, nuclear, relativistic, and quantum physics as well as electromagnetic theory. These elements form the background knowledge that is required for a study of medical radiation physics. The first few pages of this chapter present lists of basic physical constants, of important derived physical constants, and of milestones in modern physics and medical physics. 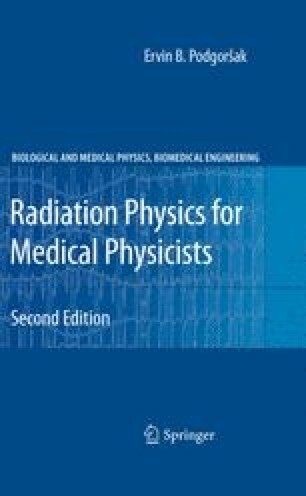 These lists would normally be relegated to appendices at the end of the book; however, in this textbook they are given a prominent place at the beginning of the book to stress their importance to modern physics as well as to medical physics.